Sarah W. Pease of Laramie served on the first grand jury to include women, which convened in March 1870. The women on the grand jury and trial jury were selected less than six months after Wyoming’s first territorial legislature granted women equal political rights. 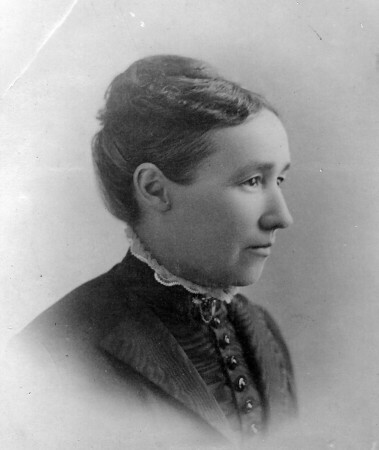 Eliza Stewart Boyd’s name was the first female’s to be drawn from the voter’s roll to serve on the Laramie grand jury. The other five women included Mrs. Amelia Hatcher, Mrs. G.F. Hilton, Mrs. Mary Mackell and Agnes Chase Baker, who was dismissed at her request. Wyoming has long enjoyed a series of “firsts.” In February of 1870, Esther Hobart Morris of South Pass City, Wyoming was appointed as the nation’s first female justice of the peace. In 1924, Nellie Tayloe Ross was elected as the first woman governor to complete the term of her husband who died in office.